Father's Day is a perfect time for you and the kids to show dad how much he means to you. Some of the Father's Day patterns and crafts on this page are geared more toward children, some for kids with adult supervision and even some just for you to show your spouse how much being a wonderful dad means to you. 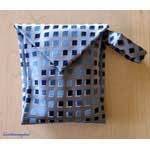 Be sure to check out the Father's Day wrapping that looks like shirts and ties - love those! 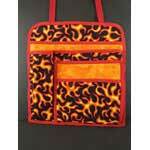 And there's lots of tool aprons and barbecue aprons to make. 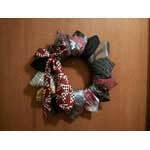 Tie wreaths seem to also be all the rage. 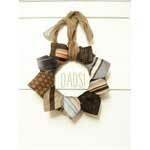 Feel free to browse the patterns below for all kinds of Father's Day ideas! 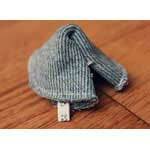 Keep dad's hands warm in the winter with easy to sew hand warmers for in his pockets. 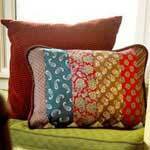 Brighten dad's office or den with a pillow made out of neckties and a few other supplies. 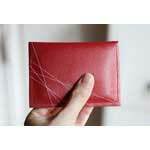 This is a pattern for a stylish wallet that is slim enough to fit inside a back pocket. 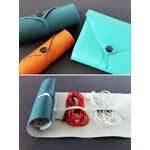 Take some fake leather and turn it into a cord organizer that dad will certainly appreciate. 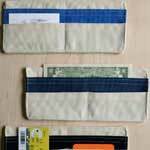 Make dad his own fabric wallet in summertime fabrics. 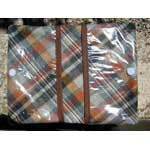 Keep dad's car clean and tidy with an organizer you can make using this pattern. 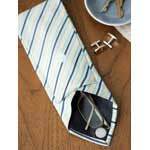 Here are 4 easy steps to re-purpose a necktie to make an eye glass holder. 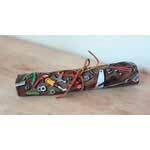 Here is a great gift for the do-it-yourselfer to keeps nails close by. 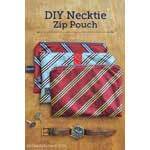 Simple instructions for making a handsome zipper pouch out of neckties. 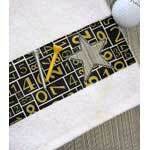 Give Dad a this one of kind golf towel for Father's Day. 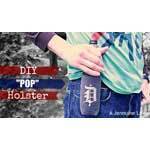 Here's a cool holster with dad's initial to keep a cold soda or water close by when working. 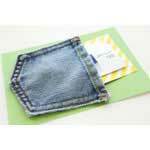 Attach a jean pocket to a piece of card stock then place a gift card inside for a thoughtful gift. 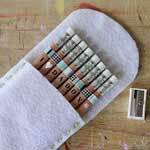 Give dad a cool set of pencils that say it all using this fun craft project. 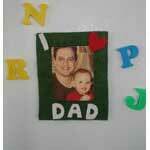 Get the kids involved in this simple to make fridge frame made from felt fabric. Create this water resistant tote for placing Dad's important automobile papers in. 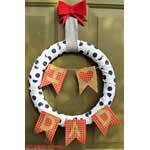 Surprise dad with a wreath made using a Styrofoam wreath and re-purposed neckties. 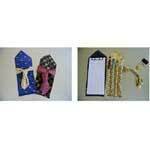 Turn a necktie into a cool notepad with a pen and pencil holder with this fun project. 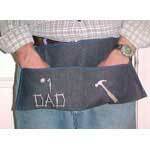 Dad will be proud to wear an apron with matching mitt this Father's Day. Keep dad warm and the remote handy by sewing a fleece blanket with pocket. 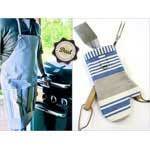 Wrap presents in brown paper then place into a tool apron for a cool way to present dad his gift. 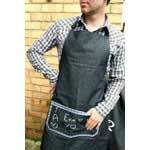 Make dad an apron with one large pocket with stitched loved notes. 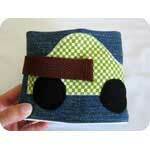 Create a place for dad to keep his favorite Hot Wheels by making this foldable car caddy. 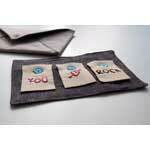 Tell dad how awesome he is with this fabric fortune cookie that you can make in minutes. 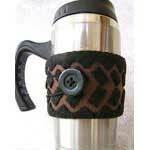 With just a small amount of felt fabric you can easily make a coffee cup cozy. 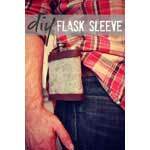 Create this no-sew flask sleeve made from leather and wool that fits snug on a belt. 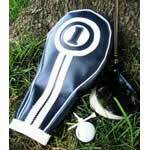 Just follow the instructions and make some club head covers that dad will love. 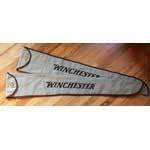 Here is a simple tutorial for making a vintage style gun sleeve for Father's Day. 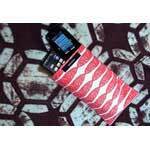 Make a simple case out of a necktie that can hold a cell phone, iPod or other gadgets. 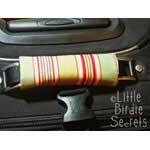 Dad's luggage will stand out among the rest with this colorful handle cover. 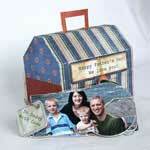 Create family pictures in the shape of tools inside a toolbox made using this craft project. 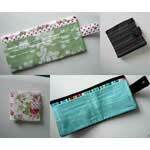 Sew this simple wallet out of vinyl for placing credit cards, cash, and driver's license. 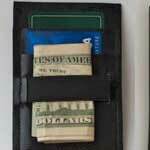 Create a handy fabric wallet using dad's favorite team logo and colors. 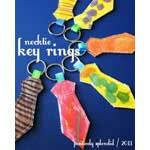 Follow these four simple steps to make dad a cool necktie key ring for Father's Day. 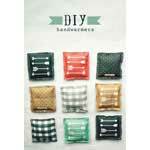 With a little fabric, straight-line sewing and a leather tie you can create this tool organizer. 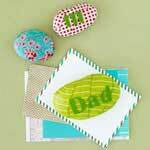 Fun craft project for covering a rock with fabric to make a paperweight for dad's desk. 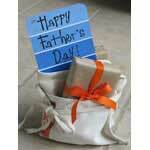 Make dad this fabric card with matching envelope to say happy Father's Day. 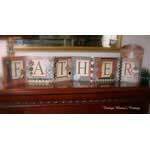 Create a cool banner for Father's Day with 6 x 6 inch card stock and a few other supplies. 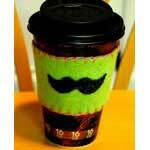 Make this good looking coffee cozy for a thoughtful gift to give this Father's Day. 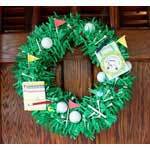 Make a golf wreath for dad by gluing golf balls, tees and more to a tissue paper wreath. 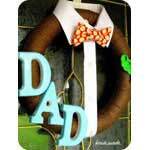 Re-purpose a white button down shirt using this simple wreath pattern for Father's Day. This wreath says it all and is a cinch to make when using this simple pattern. A few neckties and a 12 inch metal wreath make for a unique Father's Day gift. 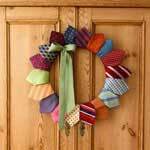 Re-purpose 19 neckties to make a one-of-a-kind door wreath for good ole' Dad. 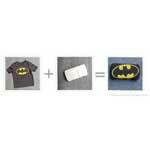 Wrap an empty case of baby wipes with a superhero shirt for a cool case for dad. 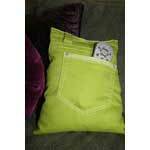 Make this handy pocket pillow by simply re-purposing a pair of old jeans. 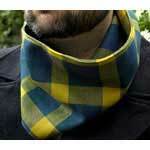 This cowl will keep dad's neck warm while looking stylish all at the same time. 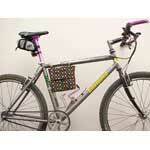 Sew a lunch bag to hang on dad's bike using pattern with pictures. 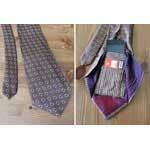 Create a necktie with hidden compartment for placing credit cards, identification and more.